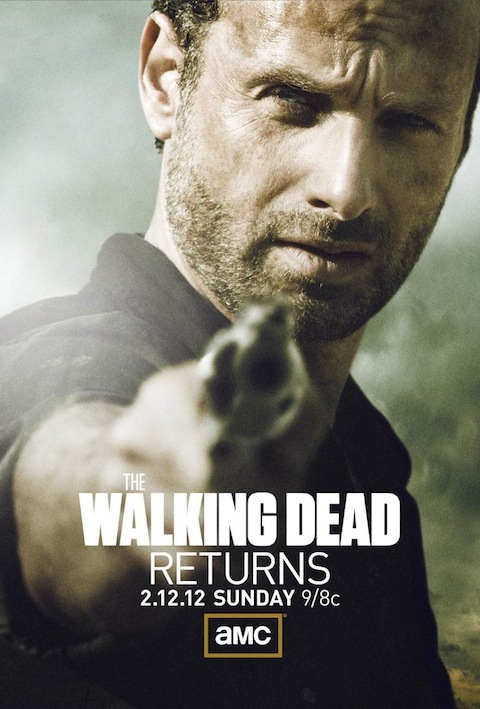 After a lack luster start to season 2, The Walking Dead is back, this time promising more zombies and more action. The direction and photography will be under new managment after producer Frank Darabont’s dismissal, but the show seems to be heading in a more fan friendly direction. After being critically bashed for the lack of action and plot progression, the second part of season two is being hyped as the complete opposite. The fans voices have been heard but is that a good thing for the show to cater to the masses or to stick to the thing that made the graphic novel such a hit… human emotion over blood and violence. It remains to be seen but this writer is excited non-the-less to watch. As the sun shines on our new year, it is still painfully clear to this writer that the desperately needed change that we as a nation cried out for does not float in on gossamer wings. The culpability for this lies not in the laps of our current administration, as many of our conservative pundits might have you believe. It also, does not rest at the doorstep of our rather embarrassing representatives in Hollywood. The full weight of this yolk is burdened solely and apathetically by us. As this year began, as with many years before it, many of my fellow business people chose not to work but to rest and relax and stand on those laurels while at the same time wagging a finger at the economy and saying shame on you. Often times, writers, poets and politicians extol the virtues of our fathers and their fathers before them. They are brought up as a bulwark for speeches that feign a positive swing to our society. Our father’s work ethic is used as primer to paint an ever fading and cracking facade masking a crumbling foundation. Our fathers and their ethics should not be used to bolster a failing society; they should be used as example to rebuild and reinvent what was a globally accepted and desired respectability. When our world news is filled with abandonment of ships, of honor and of hope, it signals the time for us to rise, shed our need for questionable web based information, socially networked anonymity and technological isolationism. We need not lounge at home, keeping in touch with our world by application and meaningless electronic updates. We need to stand, recognize our responsibility and use as much of our days as we can furthering our ambitions for success and extending our reach to prosperity. We need to open our stores, may they be fruit stands or photographic studios and work so that our Fathers can once again be proud.